During a storm it is best to turn off and even unplug all major appliances, including your computer, TV, phones, and other media equipment. This will help restore power more quickly while protecting your equipment from voltage fluctuations and circuit overloads when power returns. Turn off the A/C and all lights except one to indicate when the power has been restored. When power is restored, wait a few minutes before turning on lights and appliances — turn them on one at a time. Make sure your office equipment is properly grounded. Power disturbances can affect computers and other microprocessor-based equipment that depend on a constant voltage supply. An improper ground can cause your equipment to malfunction or fail. Reset circuit breakers to see if the problem is a short-circuit in your home’s electrical system. If other homes in your neighborhood are dark, the problem is likely a power outage. Check for “blown” fuses or make sure your circuit breakers are in the “on” position. Also check the main breaker; turn off and then turn on to reset the main breaker. If you find yourself uncomfortable with step 4 and/or are unsure of what to do in any electrical situation always CALL A PROFESSIONAL. 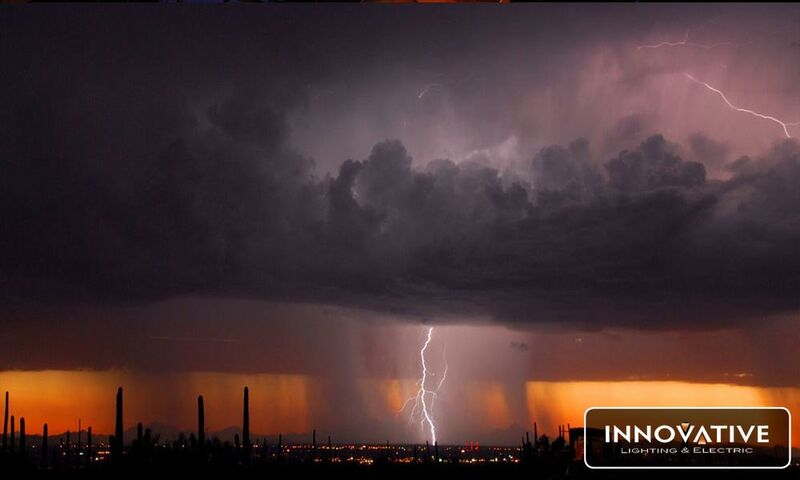 Innovative Lighting & Electric is offering special pricing for electrical issues due to storms until the end of September! The sweltering summer is officially here! We want to make sure all our clients have the proper lighting for their pathways and around doorways. It’s so important during this time of year that everyone has their heavily trafficked outdoor areas well lit. 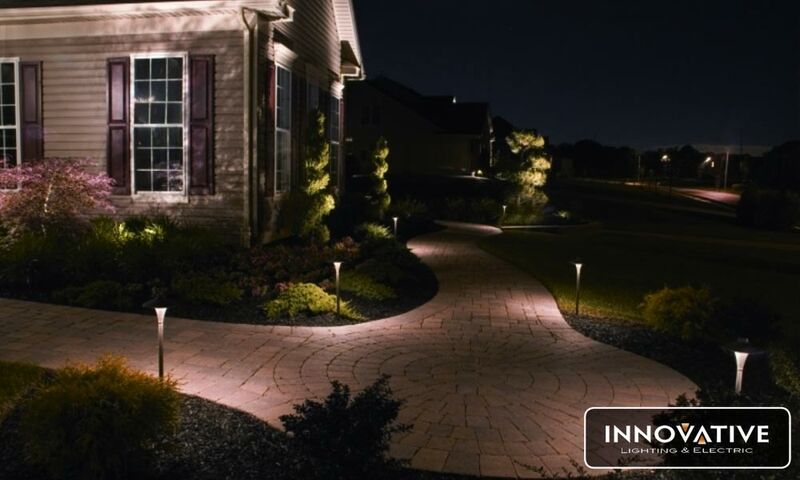 CLICK HERE for some ideas on Path Lighting or schedule an appointment with one of our experts to help explore your ideas. We always offer free consultations with a specialists to find what works best for your lifestyle. Call us today! When creating a lighting display for your back or front yard it’s important highlight your beautiful landscape, sculptures, or anything else you have on display using “aim & focus” lighting techniques. 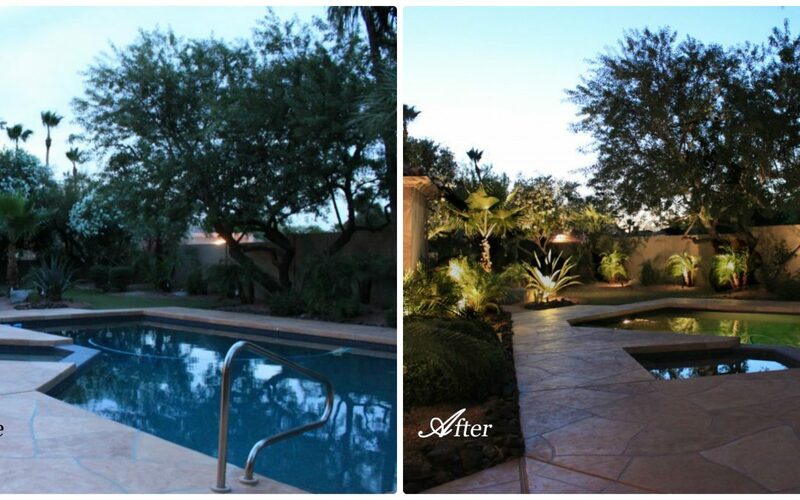 When using this lighting method you can achieve a graceful and flawless look to enhance the design of your yard that captures the eye. Our design specialists understand this concept and can plan and perfect the lighting that you desire and help you stay in your budget. Lighting is a fundamental element in any room, however, lighting in the bathroom can be particularly important when starting each day; whether you’re trying to differentiate colors for makeup application or have enough light to shave your face. With that said, you’ll need to decide on task lighting around the vanity. Recessed cans are not a good idea, because they cast shadows on the face. Beautiful sconces on the sides of your mirror or lights at the top of the mirror would work well. Overhead fixtures are good for overall bathroom lighting and you can get creative with modern pendants or mini chandeliers! With so many choices for fixtures you don’t have to sacrifice style for practicality. 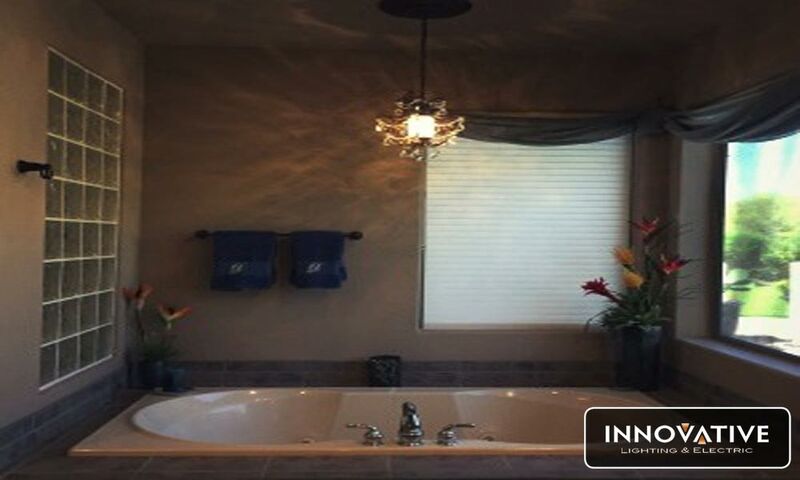 Innovative Lighting & Electric specializes in helping you find the right fixture(s) for your budget. Click Here for a few style ideas! Bonus tips: Makes sure your bulbs are giving off a crisp white light and not a yellowish glow. Large mirrors help reflect light so your bathroom appears brighter. Here at ILE, we pride ourselves in offering free consultations because we know gaining your trust, by truly understanding your needs, is priceless. It gives us an opportunity to show you how knowledgeable and insightful we can be in providing you with the best lighting possible for your budget. Our design services range from small projects to large installations, both interior and exterior. Comprehensive lighting design requires consideration of the amount of functional light provided, the energy consumed, as well as the aesthetic impact supplied by the lighting system. 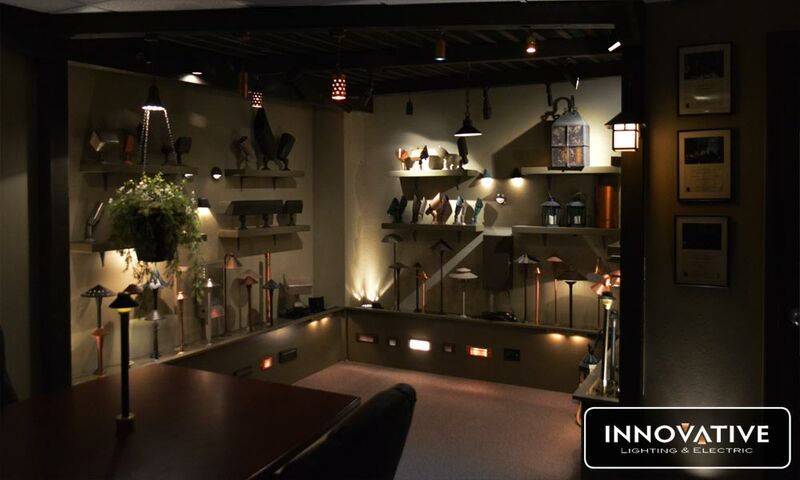 Head down to our design center and let us customize a lighting plan for you. Relax and don’t worry, our design staff will take care of everything.